Go Hydrology! : How to stop a canal? How to stop a canal? In theory, plugging a canal should stop the water. That's assuming that water stays in the canal. 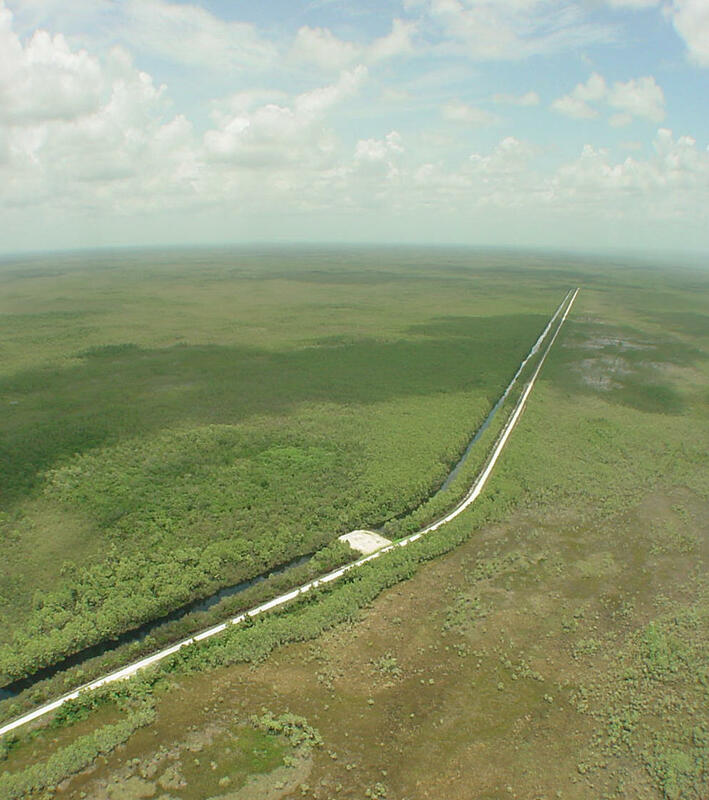 Aerial view of the northernmost of six plugs installed in the L-28 canal, looking north towards the S-344 structure where water is being released from WCA3 into Big Cypress National Preserve. In the case above, water simply overflows the bank, flows through the cypress and then goes back into the canal. The best solution would be to fill in the entire canal.